This 3″ x 3″ adhesive-backed cloth sticker probably dates from the early 70s. Tsk, Radio was a whole ‘nother thing back then. 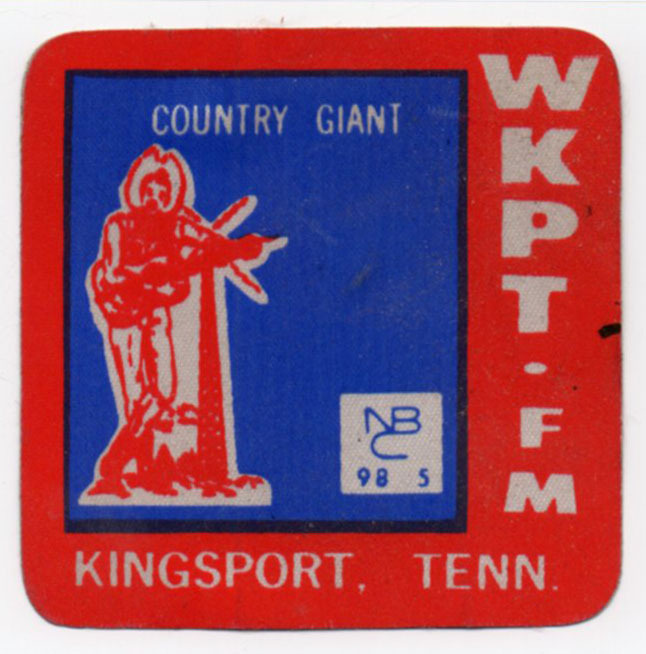 This entry was posted in Kingsport TN ephemera and tagged 98.5 FM, Kingsport TN, NBC, The Country Giant, WKPT-FM on March 3, 2016 by Bob Lawrence. You’re welcome to share pix. Please do give me credit via a link to boblawrenceskingsport.com. Oh, and thanks for listening to my show back then. I’m still in Radio, but rarely on the air.